Commercial liability with countless slips and falls happen every year. Occasionally, these incidents are not any particular person’s fault—rather, unavoidable accidents, products of poor timing. 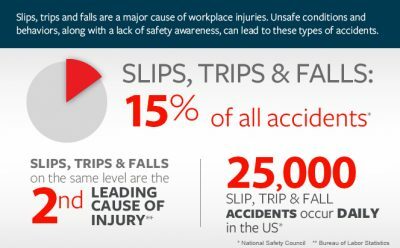 But in most cases, a slip and fall injury could have been prevented but wasn’t. This failure to prevent an accident is referred to as negligence. By law, the owner or occupier of a premises has a duty to uphold a certain standard of care, taking all reasonable measures to ensure that the property is safe and that preventable accidents do not occur. On commercial property, there should be a system of inspection in place. Detailed documentation of said system, including checklists, material safety data sheets, and emergency procedures, should be not only available but easily located. There should also be a system in place for ensuring that inspections are done at regular intervals, with the findings of each inspection recorded for later reference if need be. 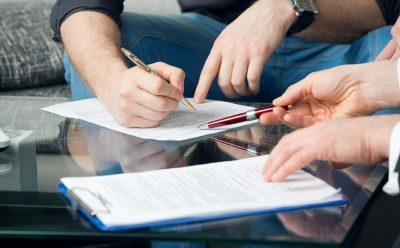 If you are the owner or manager of a business, the accurate keeping of said records could make a major difference if you are sued for negligence. The reason such systems are necessary is that they provide ample opportunities to discover potentially hazardous conditions before they cause harm or injury. 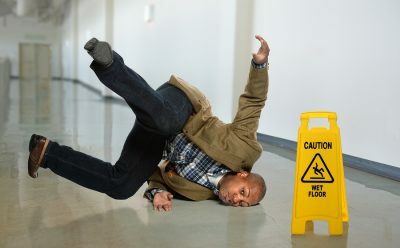 Common causes of slip and fall injuries, such as wet or slippery surfaces, clutter and loose objects, insufficient lighting, and loose carpeting, can often be remedied in a matter of minutes. And when hazardous conditions arise which cannot be solved so quickly, you should be vigilant in warning both staff and visitors to your business of the risk. Maintenance and repair of damaged or faulty property can also go a long way towards preventing accidents, e.g. repairing a crooked stair. 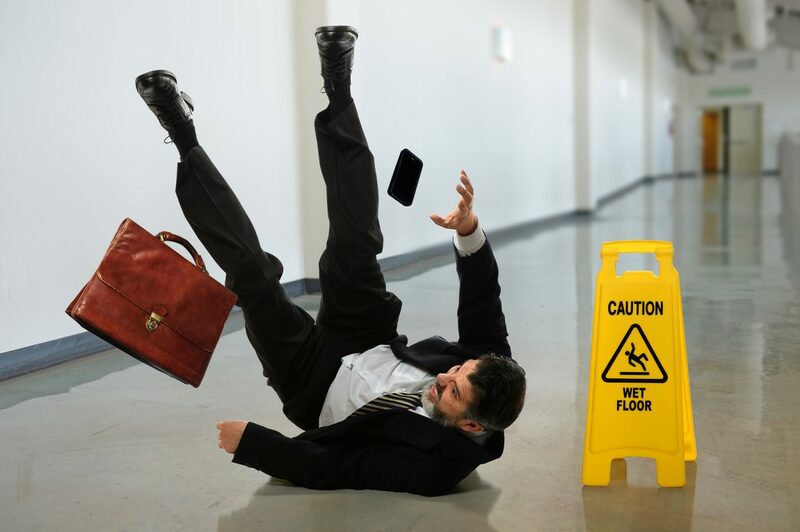 If a person suffers a slip and fall injury on your property, and their personal injury lawyer is able to prove that you did not properly maintain the conditions of the property, contributing to the accident and subsequent injuries, then you can be sued for negligence. This makes you, and by extension, your business, liable for damages, including but not limited to pain and suffering, loss of income, loss of enjoyment of life, medical and rehabilitation costs not covered by OHIP, and any other expenses the injured party may incur as a result of their injury. To learn more about negligence, standards of care for the commercial property, and how you can do your part to prevent injuries on your property, reach out to a personal injury lawyer.